Working with a contractor sounds daunting, but it doesn’t have to be. Prepare for your next project with these useful tips. The process of hiring a contractor can be very stressful. But if you take your time and do your homework before hiring, you can save a tremendous amount of time, money and anxiety, and still achieve great results. The following tips will help guide you through the process. If you’re interested in tackling a project this year, you should already be planning. Once the holiday season has passed, homeowners feel energized and start refocusing on their homes. Our business starts picking up on Day 1 of the new year, and the earlier you jump in the better off you’ll be. If you’re planning to go all out — full design and engineering plus permitting — anticipate waiting 12 weeks before a contractor starts on the project. If the project doesn’t require engineering, half that (six weeks) will be enough. Due to all the planning involved, no contractor will start a project immediately. Because of this, you should engage a contractor a month or two before the project’s start time. Some projects are dependent on cooperative weather, which drives up seasonal demand for certain trades like painting, concrete and dirt work. It can be very difficult to book these contractors during the summer, so you must get on their schedules very early in the year, even if it means contacting them before Jan. 1. 2. 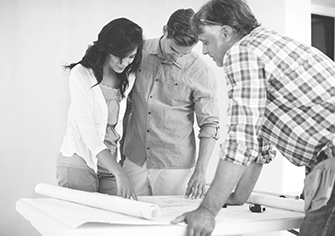 Know your project scope before you start.Often, clients will come to us with a laundry list of work they’d like done. In this situation, our job is to help align their budget with the overall scope of work — adding to the scope always drives up costs. Having this conversation early on can help you get the most value from your project budget. 3. Identify a reputable contractor. To find a reputable contractor, start with a credible source. The Master Builders Association of King and Snohomish Counties’ Remodelers Directory is a good place to start. The Better Business Bureau is also a great source — to be listed, a contractor must have no outstanding issues with their customers—and a great place to find out if a business is licensed, insured and bonded. You can also verify a contractor’s license by visiting the state’s Department of Labor and Industries website at http://www.lni.wa.gov. 4. Before you hire, see their team in action. You should visit the company’s offices and meet the crew to see their project approach firsthand, including how they manage accounting, scheduling, and production. You’ll get a feel for the atmosphere of the office and how that might affect the project. We also recommend visiting one of their job sites to ask questions and get a sense of how clean and safe it is. Don’t be afraid to request a meeting with a past client. Their testimony will prove whether the contractor can deliver what they promise. 5. Always get a referral. A trusted friend or colleague’s opinion can be a great place to start if they worked with a contractor and had a positive experience. During a major project, you’ll be spending a lot of time with the contractor in your home — having a first-person account you trust will help you make the right choice. You can also call your local lumber store and ask them who their biggest customers are as they might be able to refer you to reputable contractors. 6. If you are unsure, start with a small project. When it comes to recruiting a contractor for a large project, having them start with a smaller project is one of the best ways to find out how effectively they work, schedule and budget. Before and during a project, ask specific questions to see if they can answer in a relatively straightforward manner. For example, how do they deal with a problem when it arises? Be wary of contractors who tell you your project is going to be smooth sailing the whole time. 7. Once you begin, stick to the schedule. Your contractor should always give you a tentative but detailed schedule for a project, and it’s in their best interest as well as yours to keep to that schedule. When they go over on time, they go over budget and drive up overall costs. The key to this entire process is finding a contractor you can easily trust, get to know, and work with. The more you know up front, the easier time you’ll have going forward on the project. 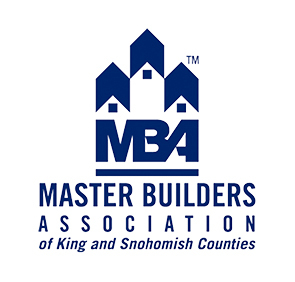 Noah France is the president and Dana Chermak is the director of Chermak Construction, and they are members of the Master Builders Association of King and Snohomish Counties (MBAKS).